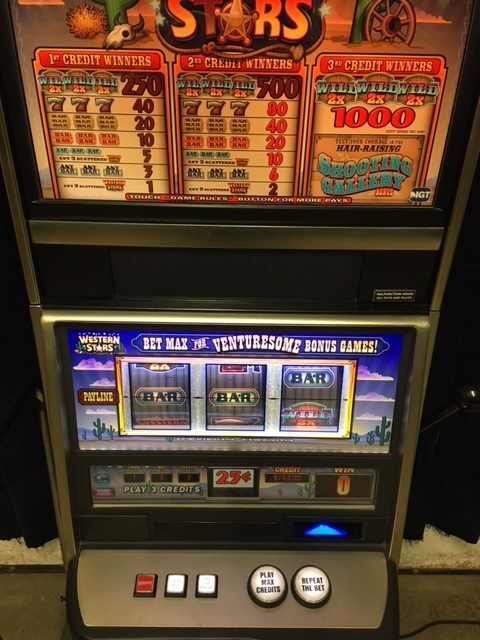 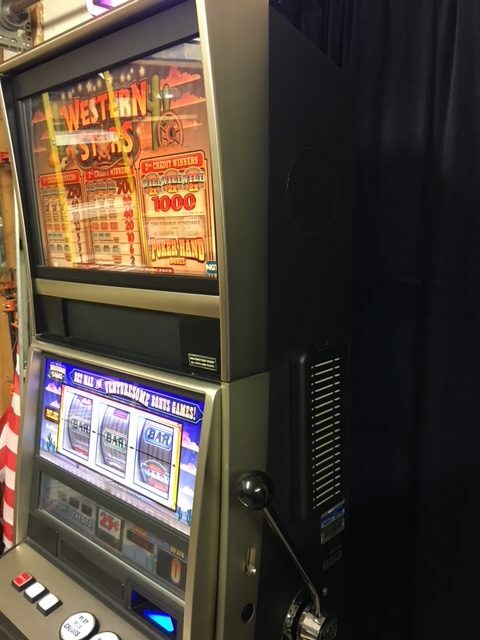 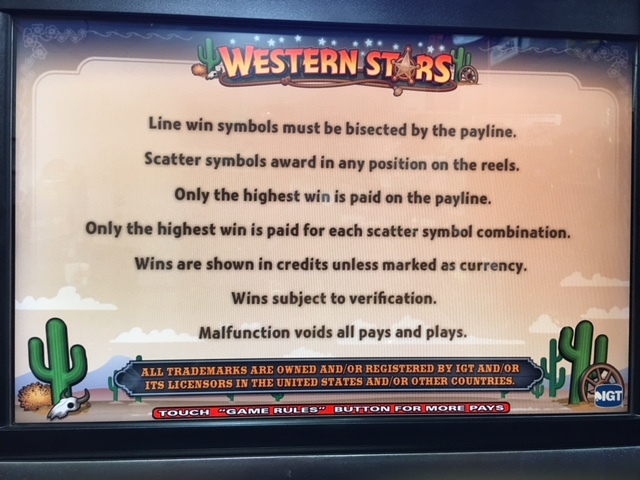 Own this great IGT AVP Western Stars complete with bonus games! 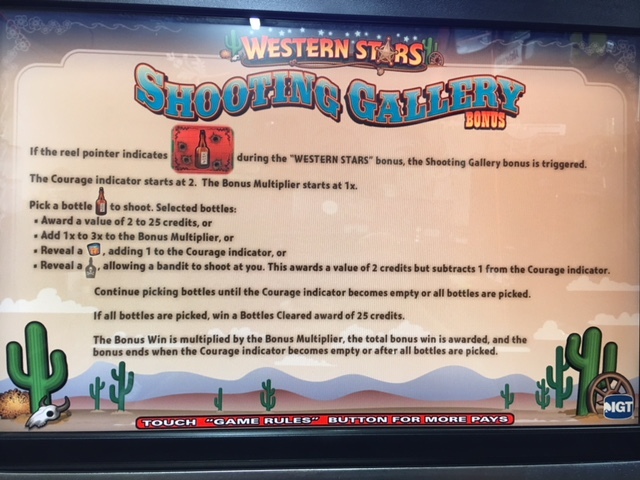 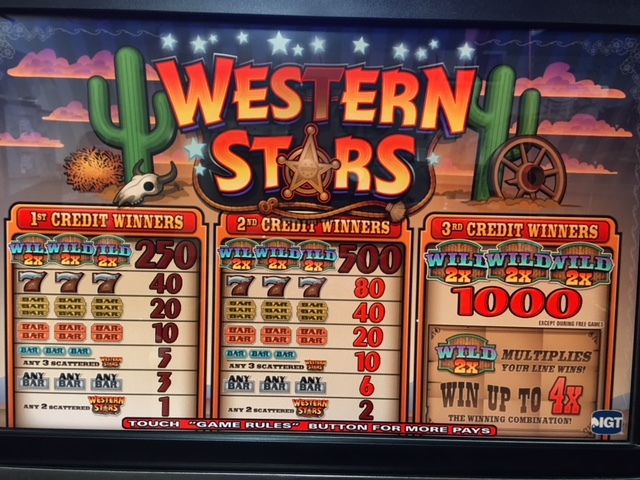 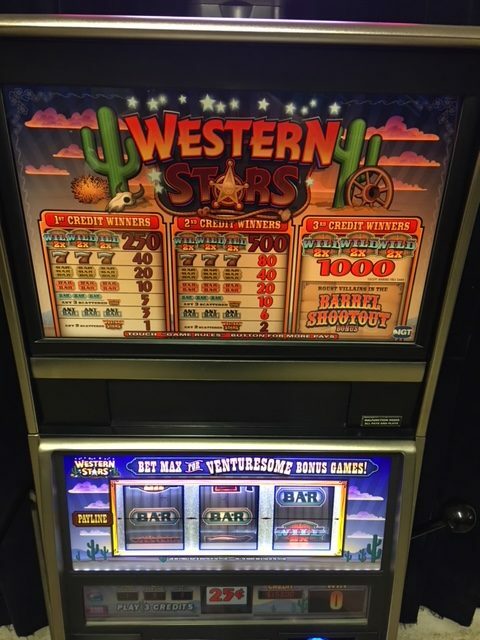 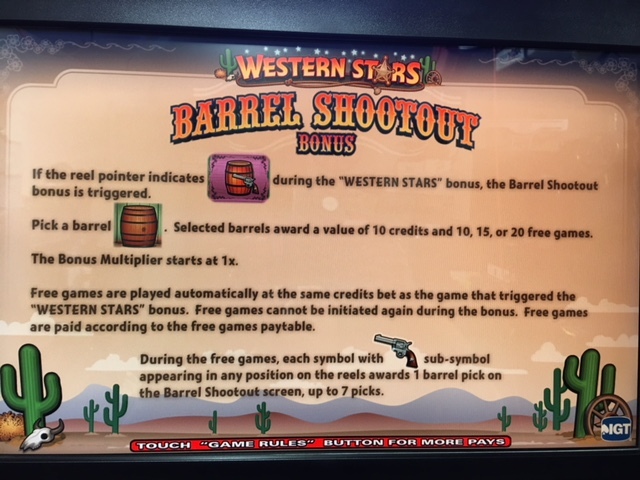 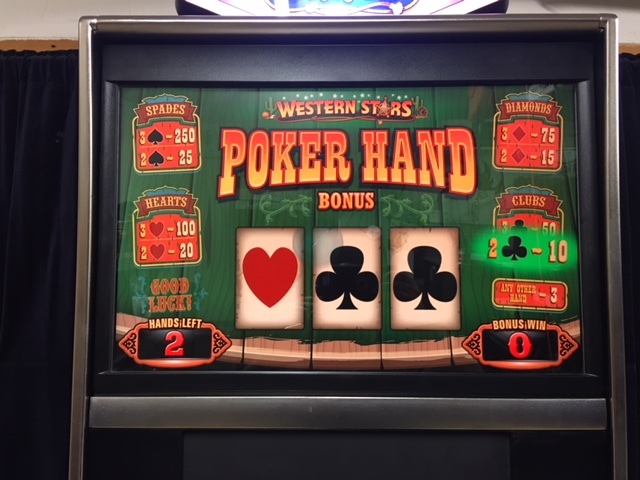 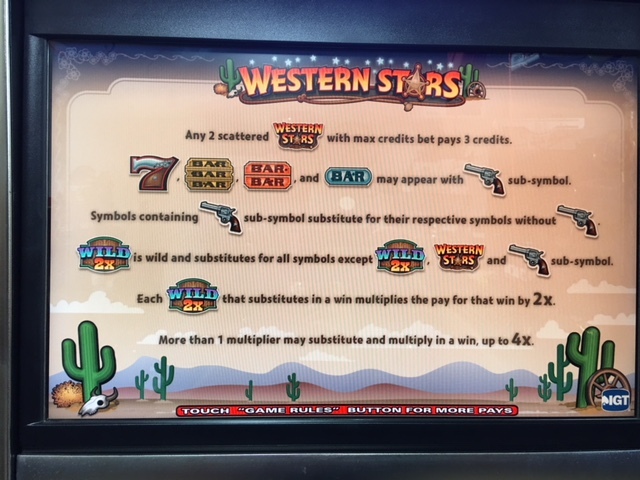 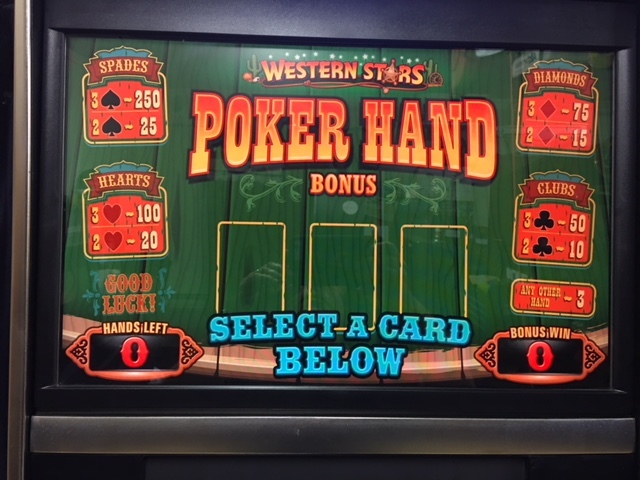 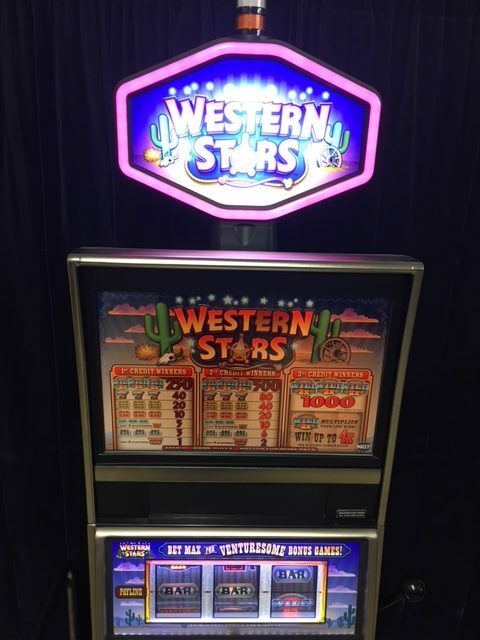 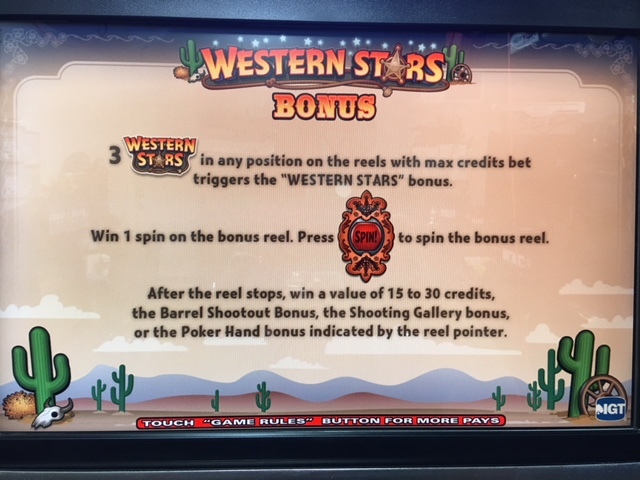 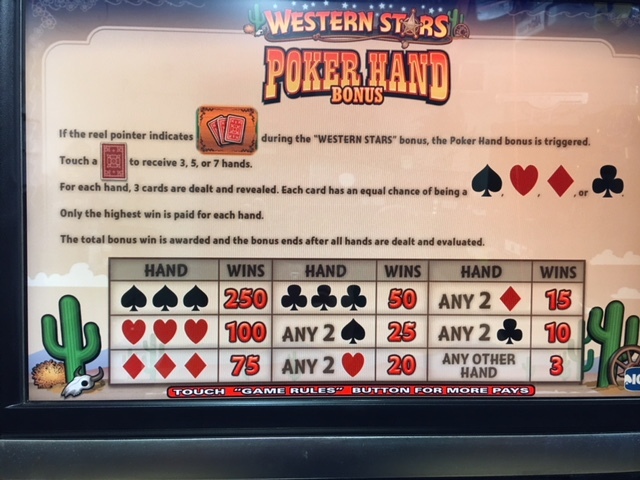 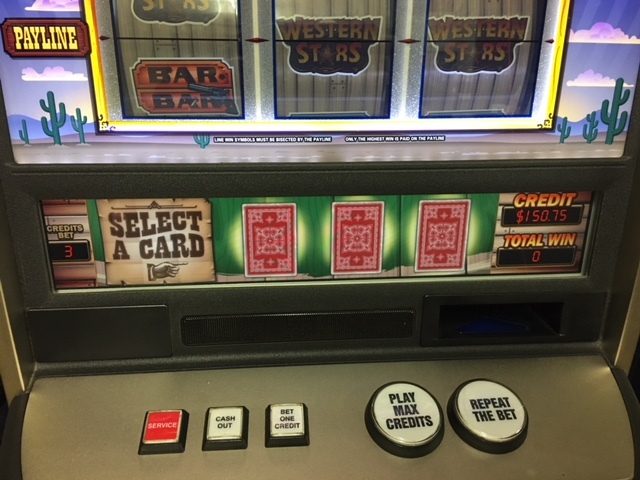 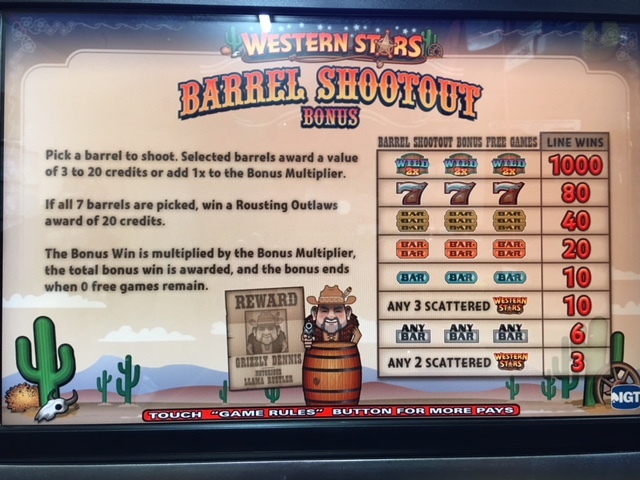 Play Barrel Shootout, Shooting Gallery, or Poker when you land 3 Western Stars Symbols above, below, or on the pay-line. 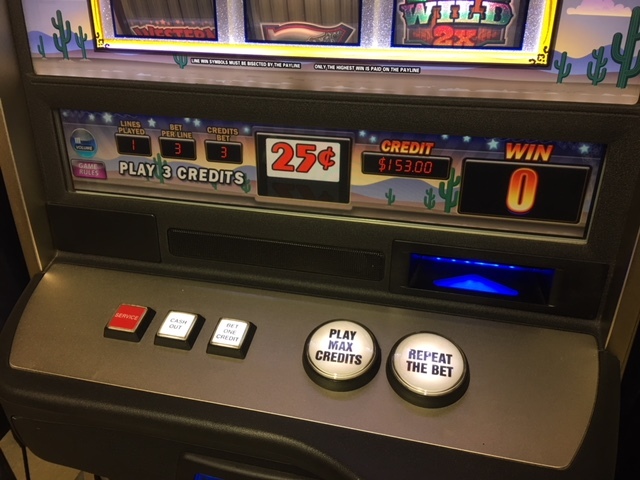 3 Reel, 3 Credit, Single Pay-Line. 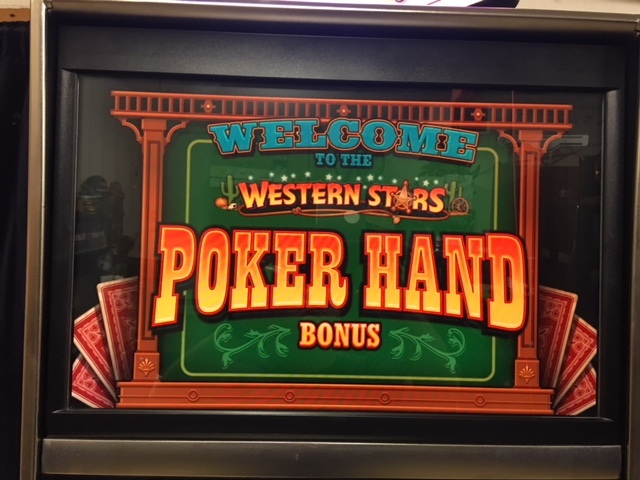 Animated Top and Center Video Screen. 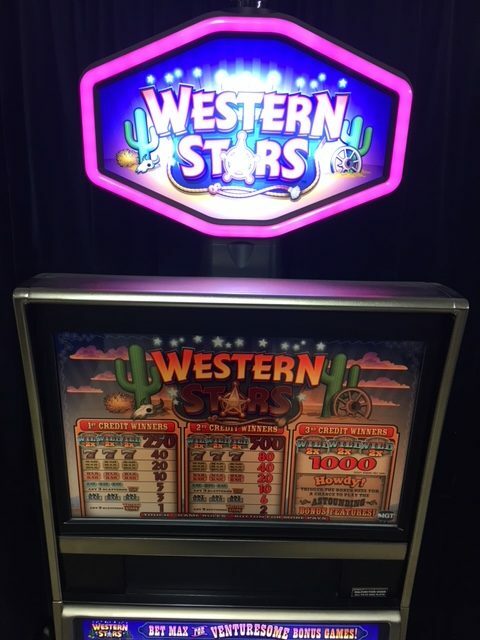 Great sounds and music! 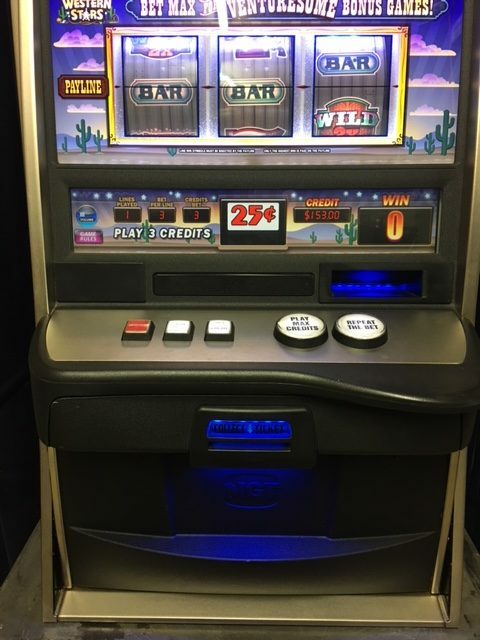 This is a coinless machine with a Ticket Printer. 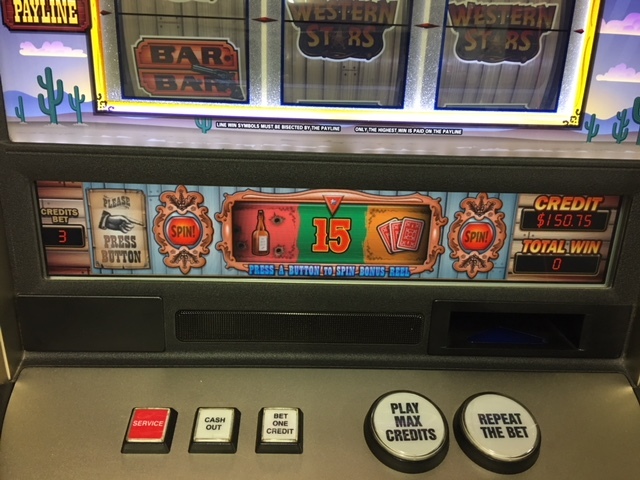 Back-lite, colored reels, LED Button Bulbs. 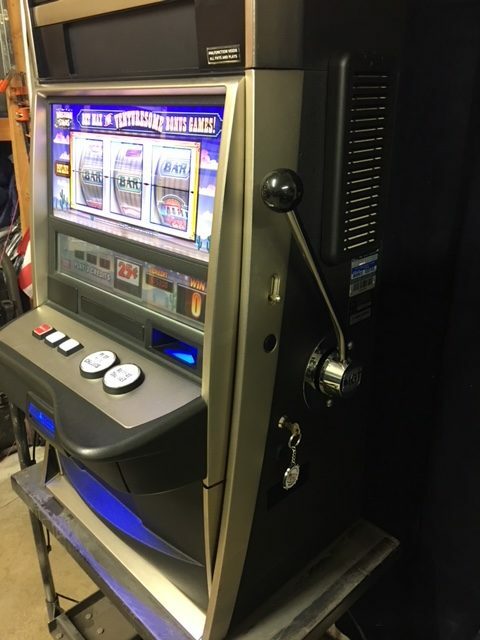 Black metal cabinet.